Looking forward to Christmas? How about hanging up Tulsa holiday lights? You remember don’t you? Crawling through storage, finding the half torn box, and pulling out a monster of tangled lights. You climb up the shaking ladder, hang the lights up, make sure their straight and then…ones burned out. Why do this to yourself? Why not hire the best in the business when it comes to holiday lighting installers in Tulsa? Why not hire Green Leaf? Call us today to get more information at 918-437-0300 or visit us online today to find out how to avoid the ladder and the tangled mess of lights this year. Time. Time is the most valuable things that we have, especially during the holidays. There is so much to do! Find the gifts, buy the gifts and wrap the gifts. Find the food, cook the food, eat the food and clean up the food. Plan the holiday party, go to the candle light service, book the hotel for your out of town in-laws, and put the gifts underneath the tree. The tree! You forgot! Rush to find the tree, the right shape, the right height and making certain that it fits through the door. Your lists go on and on and on. Wait! The lights! You have to hang up the lights. This is where Green Leaf comes in. What do we do for you? We arrive on site and start measuring everything. We make sure to catch what your vision is and make sure that we do the best job possible. Green Leaf Lights has partnered with experienced lighting crews to provide free estimates on lighting your home. We make certain to give you the best in professionalism and quality service. 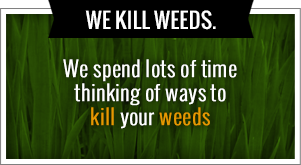 We do everything we can to meet your needs. We also provide designers who can install beautiful garland and pre-lit wreaths. We turn your home into a Winder Wonderful. Call us now! Planning the company party? What not have this business holiday party be the best! Team up with Green Leaf and make certain that your company event is the best this Christmas! We are able to help you plan and put together the ideal lights for your event. Whether your holiday light is inside or outside, we can help you make it the best this Christmas. We provide qualify lighting installers for your holiday party in Tulsa. Call today at 918-437-0300. Get started in planning ahead for the holidays. Christmas does not have to be the most stressful time of the year. Allow us to help you install and hang up those quality Christmas lights. Choose the experienced and creative lighting technicians today at Green Leaf in Tulsa. Call now or visit online. Looking for someone to hang up those Tulsa holiday lights this year? You have come to the right place! Green Leaf is know throughout Tulsa has the number one in lawn care and weed control but we also provide you with quality lighting installers! We want to make sure that you are not over stressed this Christmas. We know that you have a long list to get done but we want to take the load off by hanging up your holiday lights. Call the best in the city here at Green Leaf Lights. Call today at 918-437-0300 or visit us online. Green Leaf’s ultimate goal is to make sure that whether we are hanging up lights in your house or at your company event that it’s a smashing success. We want to eliminate the stress and make sure that you don’t have to get up on that ladder unless you want to. Don’t suffer through a huge monster of tangled lights when the lighting professionals are right here and available for you at Green Leaf. Make sure that everyone knows that your house is going to be the best this holiday season. Contact the leading Tulsa holiday light professionals today. What do we do? We arrive on-site to give you a free home estimate on how much it is going to cost to hang up your holiday lights. We also take measurements and we give you suggestions of how to make this the absolute best. We make sure to fulfill the vision that you have and make sure that your house looks exactly the way that you want. 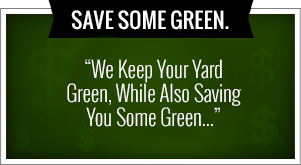 Here at Green Leaf we work for you and keep you the number one priority. Make sure you only hire the leading professionals and quality lighting installers in Tulsa. Our ultimate goal is to create the perfect holiday atmosphere for your home or for your business. That means that if you’re planning the company party this year we want to make sure that it’s the best. In fact we partner with the experience lighting crews and event planners to make sure that your holiday event is the absolute best. We connect you with the experience party lighting professionals that you been searching for all over Tulsa. Who knows, with a grand holiday party that we can provide, you might get that promotion you been looking for. Call us today at 918 – 437 – 0300 or simply visit us online. We make sure to provide you with the best and most qualified Tulsa holiday light professional installers for your home. With all the other things that you have to do this holiday season why out let the leading experts help you. You don’t to climb into storage, find the monster tangled lights and try to figure out which balb is blinking. Call us today to get started this Christmas.